Creating a guide for C. H. Garbutt's Black Pool: A Jack Flynn Adventure was a first for me in that this compelling story has been printed as a e-book by Vook.com. That's right...an e-book enhanced by this really cool WeJIT technology that engages the reader's decision-making process throughout the story's progression. Neat stuff. 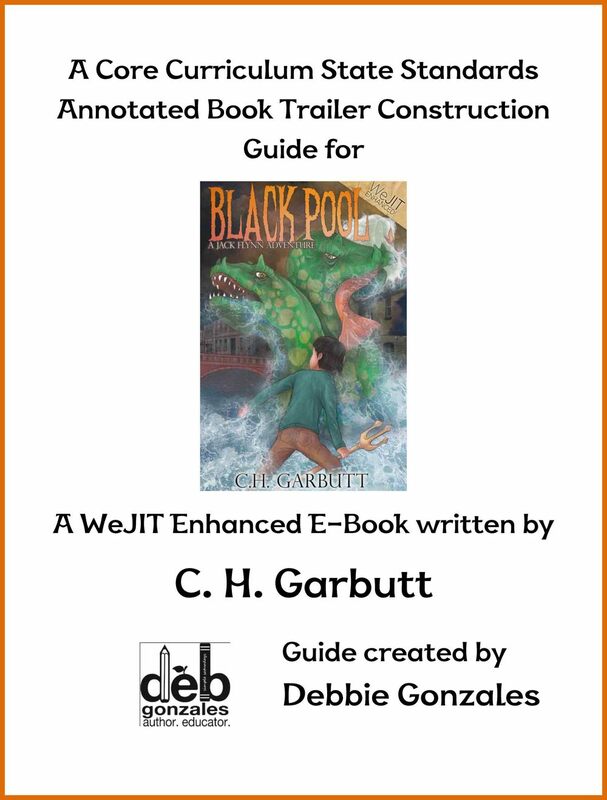 To access the guide, click on its cover.Being that Black Pool is digitally contrived, I thought it would be suiting to create a CCSS Annotated Book Trailer Construction Guide - one in which the reader can delve deeply into characterization, theme, setting, mood, and sensory detail. There are tons of graphic organizers in the guide, each designed to explore specific aspects of literature. Upon completion, students will have all that they need to craft a story board and create a book trailer script! The best part of doing what I do is working with the variety of books that come my way. I love reading them, and then thinking of the various ways I can interpret the story's message in through discussion and hands-on activities. What's next, you ask? Stop by next week and I'll tell you all about it!